Chronic Pain is a condition that affect 42 to 50 million Americans. Despite its prevalence and much research, chronic pain remains poorly understood and difficult to control. There are many types of chronic pain, but perhaps the most common is chronic back pain. For the purpose of this article I will focus on this type of chronic pain. Chronic Pain doesn’t just happen, save for the injury that is sustained by an unfortunate accident, chronic pain is the result of a number of factors that over time lead to a chronic structural dysfunction and pain. The Origins of Chronic Pain. A Sedentary Life Style. The body is a machine. It was meant to move about. When it doesn’t move, it gets weak. That weakness can lead to back pain. As technology has propelled us forward as a society, we have taken a step backwards as a human machine. Video games, computers, and remote controls have all lead us and our children to a sedentary lifestyle. Obesity is becoming an epidemic. This is what happens to your muscles when you don’t move your body. Muscle tone begins to slacken. The muscle fibers aren’t used anymore so they forget how to be flexible and stretchable. Injuries, like back pain, are common in people who have been sedentary. 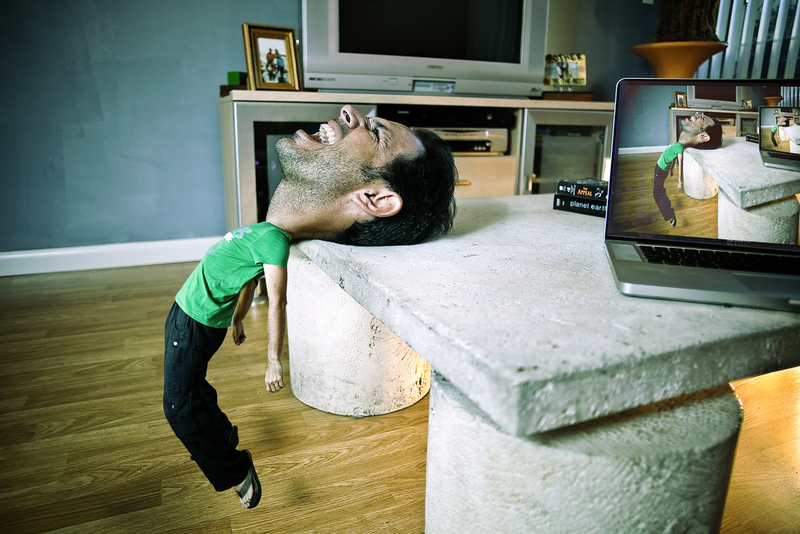 Lack of muscle tone and flexibility are primary reasons sedentary people are injured easily. Poor Posture. The spine has a natural curve in it, designed to help us move and bend and flex. Muscles support the spine, allowing us to do all that moving and bending and flexing with ease. Here’s what happens when the body is out of alignment. The muscles are stretched and contorted to accommodate an unnatural position; unnatural to your body, that is. It is that stretching and contortion that causes the first signs of back pain. Over time, your muscles start to knot up, or even spasm, under the strain. Long term muscle stretching and contortions can result in long term muscle disfigurement, meaning long term pain. Poor Bio-mechanics. All our muscles have a precise function with in the body. The muscles’ primary functions are divided into: Flexion and Extension, Abdunction and Adduction, Rotation, and Circumduction. When a muscle or group of muscles is weak, tight, or other wise unable to preform their proper function, other muscles take over to fulfill the needed action. This in turn creates overloading of certain muscle groups, and that in time will lead to injury and/or deformity of a corresponding joint. For Example: if you have tight hamstrings and hip flexors, your lower back takes over the work that by the tightened muscles are unable to preform. Painkillers. Pain medication is the first choice of treatment for chronic pain. In a survey to the American Academy of Pain Medicine it was discovered that painkillers help only about 58% of the people with chronic pain. What if you are one of the 42% that is not helped by painkiller medication? Are there are other alternatives available to you? Integrative Medicine is the combination of practices and methods of alternative medicine and conventional bio-medicine. The focus of Integrative medicine is on health and wellness, with an emphasis on treating the whole person, rather than just the disease. Integrative medicine aims to treat the whole person rather than just the part of the body that is diseased, and it gives the individual control and power over the condition they are suffering. Integrative medicine sees Chronic pain as the result of a vicious cycle that starts with an injury and it perpetuated by the body’s attempt to deal with the dysfunction through natural adaptation. You hurt because you can move properly due to an injury, and because you are not moving efficiently you keep re-injuring yourself. And in time the injury will lead to a permanent structural damage and more pain. Breaking the cycle takes the cooperation of several disciplines. Identify the Problem. You know, a little knowledge can be dangerous. Many of us are “armchair physicians” when it comes to healing our own wounds. When your back first begins to hurt, you may put heat on to relax the muscles or ice packs on to reduce the inflammation and dull the pain. This is not necessarily a bad thing UNTIL you realize that your back pain hasn’t lessened. Worse yet, you misdiagnosed the cause of your back pain and you’re icing a knotted muscle and heating an inflamed joint. Self-diagnosing back pain is a risky business. A backache now and again when you’ve been out mowing the lawn or painting the house is understandable. However, intense or long-term back pain is nothing to play around with. It could be a sign that something is wrong with either the structure of your back or your general health. A visit with your doctor will either reassure you that rest and exercise will help your back or you’ll find proper treatment to resolve a health issue. Releasing muscle tension, and realigning the bone structure. There are many causes of back pain. When it is due to injury from an accident, from improper lifting, or disc problems, you may need to supplement your medical care with physical therapy. Physical therapists are trained in the ins-and-outs of muscle structure and how each muscle interacts with the other muscles, bones and nerves. You may have the need for a procedure in which the therapist manipulates your muscles in a massaging fashion which “revs up” the healing process by stimulating the nerves. This procedure is sometimes compared to revving up a car’s engine to get it to idle smoother. Bio-mechanical reeducation. Physical therapy is a way to strengthen any weak muscles, and retrain your body for proper posture, movement. Active physical therapy involves something that you do with supervision from the physical therapist. Aerobic activity – This may be as simple as using a treadmill or stationary bicycle. The goal is to increase your blood circulation which increases oxygen intake. This increased circulation and oxygen will help muscle flexibility and strength. Strength training – Building muscle in the back and body improves your back’s strength and resilience. The therapist will help you do strengthening exercises and will give you exercises to do at home as well. Start out slow to avoid injury and increase your repetitions as you get stronger. Follow your therapists instructions and stick with the exercises. Stretching – Yoga and other stretching exercises perfects the connection between our muscles, bones, and mind. Stretching your entire body works to increase mobility and flexibility in your back. Your physical therapist will work with you on the perfect stretching exercises for your particular back problem. Stopping pain and promoting healing. What do you know about acupuncture? In the past, the process of acupuncture was not discussed and was clouded in mystery. The look of acupuncture was scary. 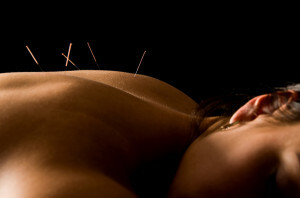 Acupuncture is considered an effective alternative treatment for back pain which is gaining in popularity very rapidly. Today the FDA estimates that 9-12 million acupuncture treatments are preformed annually in the U.S. Besides being a natural, safe, and effective method for relieving pain, studies have shown that the use of acupuncture stimulates the self healing powers of the body, while releasing tension from the muscles. If you are experiencing back pain, you probably have tried many ways to alleviate the pain and discomfort. You may also be frustrated because nothing has helped. If that’s the case, it may be time to take another avenue – an ancient one. What do you know about acupuncture? In the past, the process of acupuncture was not discussed and was clouded in mystery. The look of acupuncture was scary. Is acupuncture mystical, magical or medicinal? Acupuncture is none of these things. In fact, the process is tried-and-true, having been used for thousands of years in ancient medicine. Acupuncture helps with many ailments, from smoking cessation to headaches to back pain. Acupuncture involves using needles that are no thicker than a hair. These needles are used to unblock the energy pathways of the body. Acupuncture tools are now regulated by the FDA and all needles are sterilized and used one time only. The body is composed of energy that runs throughout along lines called meridians. Acupuncturists use meridian maps to help them know where to place the needles for treatment. When we are ill, suffering from back pain, an energy pathway is blocked. This blocks the blood flow and causes stagnation in the tissues leading to toxin buildup. The needles are placed at these meridians to restore the flow of energy. They also facilitate toxins to flow out of the body via the lymphatic system. Once the energy or chi is restored, the back pain will resolve itself. The muscles of the back will unknot and the spasms will calm down. Do your homework first. Choose a reputable acupuncturist who has been licensed. Tell him or her about your back pain history and any medications that you are using, as well as any allergies. Your practitioner will inform you of any risks, no matter how slight. There is a chance of bleeding, soreness or pain at the insertion site. You will be given a gown or towels to cover you modestly while the acupuncturist works. You will more than likely be lying down on a comfortable table. Let the practitioner know if you feel any discomfort or pain. Most people don’t feel anything as the needles are applied. Some people feel energized right away. However, it may take a few sessions for you to feel the full effects. For people with intense pain, heat might be applied to the area in question for a more intense treatment. Acupuncture is considered an alternative treatment for back pain which is gaining in popularity very rapidly. When you are frustrated with the results of other treatments, this ancient method may be the answer for relieving your back pain for once and for all. What Are The Differences Between Practitioners of Acupuncture? Are there differences between Practitioners of Acupuncture? When looking for a qualified acupuncturist, it might be helpful to use the following comparison of requirements among various practitioners who offer acupuncture services. Even training among licensed acupuncturists can vary widely. Some graduate programs include training in all aspects of Oriental Medicine, including Chinese herbal therapy, food therapy and body work and may require as much as 3,500 hours of training.